IF Darrell Evans gets in the HOF, they just are running out of people to put in there. He would be one of the worst players in there by a long stretch. Halladay and Mussina are not the best examples of what you seem to be trying to say. Yep. I get that the the HOF is getting watered down but Halladay and Mussina are more than deserving. In the History of baseball only 20 starting pitchers have had a better ERA+ than Halladay and many of them came in the deadball era. John Hiller belongs before Billy Wager. Bill Freehan belongs before any of them. Lou Whitaker has been my favorite player since I started little league at 7 years old in 1980. I followed baseball extremely closely for 20 years, and Lou's career closer than any other. I won't go through his stats, as I've done that before on the board. He ranks right there with Joe Morgan and Ryne Sandberg, and was the best 2nd baseman in the AL during his prime. Depending on which metric you want to use, about the 5th best second baseman to ever play the game. In other words, a no-doubt-Hall of Famer. Like some of you, I've been beating the drum for the last 19 years about finally getting Lou the recognition he deserves. Finally, there seems to be a glimmer of hope. It is about time. Why has he not gotten his just due? I think a lot of things play a factor. Very early in his career he was labeled "cocky" by some in the Tigers' system and Joe Falls picked up on that and printed it. As the story goes, Gates Brown (Tiger's Hitting coach 1978-84) was telling Lou he was doing something wrong in the batting cage, and Lou replied "I know how to hit." That might have been a big deal in 1978, a rookie telling a hitting coach he knew how to hit, and I can see how some would take that to be very disrespectful. But Lou was very quiet, and never challenged anything that was written about him. The second point is he was very quiet. Respectful, would answer questions, but no more. He was a family man and very religious, and did not hide either one. The fact that he is a Jehovah's Witness (a misunderstood religion anyway) did not help him any in the media. He was labeled a favorite of Sparky's, but Sparky knew to how best to handle the most talented man on his team, leave him alone and let him do his thing. He didn't bask in the limelight. He would rather have the 3 days off during the All-Star break to spend with his family then go play in the game. "Forgetting" his uniform one year at the ASG didn't help either. He has said things in the last 20+ years in retirement that haven't set well with everyone in baseball. If you ask him a questions, he will tell you exactly what he thinks. He always, and still does, dress very flashy. His former wife owned an upscale clothing store for years. And finally I think the way he has been treated by the Tigers as a team since retirement. He has been brought back several times during Spring Training as an "assistant coach" in Lakeland, but never as part of the team as his fellow stars have been, like Tram, Gibby, Parish, Morris, and to a lessor extent Rozema and Petry. The Tigers are about the worst team in baseball when it comes to honoring their past stars. To not have 1 and 3 retired on the same day, a year or two after they both retired, is just a travesty. No one is baseball has ever had what the Tigers did with Lou and Tram, and they continue to strike out with that. A statue with Tram feeding the ball to Lou is so long over due. Lou was a Hall of Fame player, and we Tiger fans really are lucky to have watched him play for 19 years. Another thing that worked against Lou is that he was an old school fielder (much like his mate Trammell in that regard) - meaning that he always tried to stay on his feet. The result was less highlight reel footage, yet I don't think anyone that watched him over his career thinks he was anything other than an excellent defender. He was also lightning on a DP pivot and was playing 2B with a 3B's arm. If he does get finally get in, we will probably have WAR to thank for it. Regarding his post retirement treatment, I completely agree with you about the number retirement and statue. Now, truth be told, I am not much for number retirement. But if the Tigers are going to retire numbers, yes, Whitaker and Trammell should have had the honor at the same time. For two decades, they were a du..... We all know the history, there's no need to rehash his hall of fame credentials or his place in Tiger history. My question is about the coaching thing, and the public relations part of his retirement. Was Whitaker approached about being a part of the Tigers after his playing days? His privacy has been well known. Is it clear how much either side has reached out to the other, how much either side has had interest in coaching or fan related stuff such as caravans or meet and greets or batting practice at the park or fantasy camps in Lakeland? It would seem incredibly awkward and embarrassing for the Tigers to shut out Whitaker like that if he has had interest in some of these things (obviously certain aspects such as coaching are not like the others such as fantasy camps). I guess, it seems, we've been fed a line of Whitaker not wanting to be a part of these things, and if that's the case, so be it. Maybe there is something more to it, I don't know. It was great to hear from and see Whitaker for Trammell's hall of fame ceremonies last season. I do think part of the issue is that Whitaker is not a polished speaker. OK, yes, that might be tough to take sometimes. But it doesn't change his numbers. The Tiger line is that numbers are retired only upon hall of fame honors, but Willie Horton is an exception (and a damn fine exception) to that rule. It might be good for both the Tigers and for Whitaker to retire his #1 this season. Edit: I have a hunch we will see that double play statue someday. I suspect Whitaker doesn't want to do fantasy camps and meet and greet sort of stuff. I do remember reading one story where he showed up to spring training uninvited and started working with young players and Randy Smith asked him to leave. There was probably more to the story than what was reported, but you would think a player of Whitaker's stature would not need to be invited. There may be a compromise here that we're overlooking. Why not retire a smaller version of Lou's number based on the souvenir shop jersey he bought for the AS game in Chicago? Is that not a win-win? And, this might deserve its own thread, but on the double play statue, would you have Lou taking a throw from Al or Al taking a throw from Lou? Or Lou taking the throw from Jordy to signify the passing of the torch? Why not the Magnum PI cameo? Smith didn't recognize him because he wasn't traded from Houston or San Diego. Alan underhand flip to Lou, OR both sitting on second base as two skinny 20-year-old kids with silly grins like the cover of the 1979 yearbook. I always got the sense that the organization in the 80s and 90s did not care for Lou. I can't put my finger on anything - just a gut feel, but the Smith thing is an example. Gibson told a story once about Lou where some of the guys weren't happy with how Lou was acting... he was just aloof and gave the impression he didn't care. All I can remember Gibson saying was Sparky telling him "Don't worry about Lou... I can handle him. I know what to do". He was saying as a tribute to Sparky rather than talking about Lou though so I don't recall what he did or didn't do. Lou would just show up at spring training and use that to get in shape. He'd be 20 pounds heavy. He treated baseball as a job and when he wasn't working.... he wasnt working. I had a cassette tape that WJR put out of the 84 season and they had the locker room celebration. When they interviewed Lou the first thing he said was "It was a long season...it's now over". LIke he was glad they won... but maybe just as glad that it's finally done since he had to work a few extra weeks than normal. Every once in a while he’d dog it running to 1B on a groundout. And he’d smoke in the dugout on occasion. But I really liked Sweet Lou and hope he gets his due in the Hall. 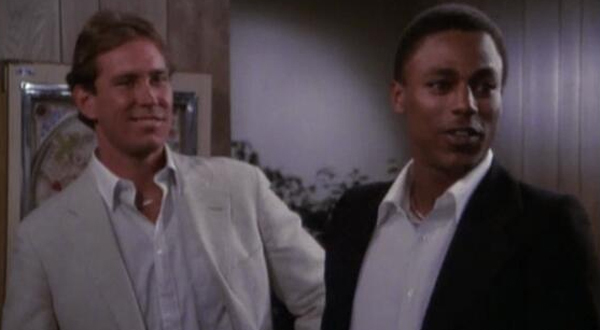 by reputation the tigers clubhouse in the 80s was a particularly raucous place and whitaker doesnt seem like the type who fit in with the gibsons and rozemas of the world. he was a jehovas witness for pete's sake. I remember reading that Dave Collins dressed up like a woman in the clubhouse and someone was taking his picture. Whitaker was not amused so he ripped the camera away in anger. I don't know what that was about. Collins was not a rookie, but it was his only year on the team (1986), so it might have been some kind of hazing. Maybe Whitaker got tired of people accusing him of dogging it and got upset when teammates were acting stupid. i think whitaker was a religious guy in a clubhouse full of guys who liked to party. i think its a simple as that. It was his historical abstract published in 2000. As I recall, James described Evans as a guy who did a lot of things well but had no one standout characteristic or identity-maker, and said that players like that tend to be overlooked and underrated even though they may be all-around better players than many who do have something that stands out. (Evans did actually have a terrific ability to draw walks, with two seasons in which he led the Majors, five seasons with 100 or more, and seven other seasons in the 80s or 90s. But that ability was commonly severely undervalued before the sabermetric revolution). Like walks used to be undervalued, you're undervaluing grit.